On the eve of the release of their latest album Stolen Diamonds – which is out on Feb 15th 2019, The Cat Empire have just announced a newly created collaboration with the Australia Council for the Arts. Sweeping the public voted categories at the recent National Live Music Awards, walking away with both the Best Live Australian Band and Best live Vocalist (Harry Angus) categories, The Cat Empire are no strangers to the international stage. Acknowledging that without an international audience it would have been almost impossible to have the career success and longevity they have enjoyed, The Cat Empire are now paying it forward. Teaming up with the Australia Council the band will support a potentially career-changing grant to allow an Australian musician or group performing original contemporary music to tour internationally. 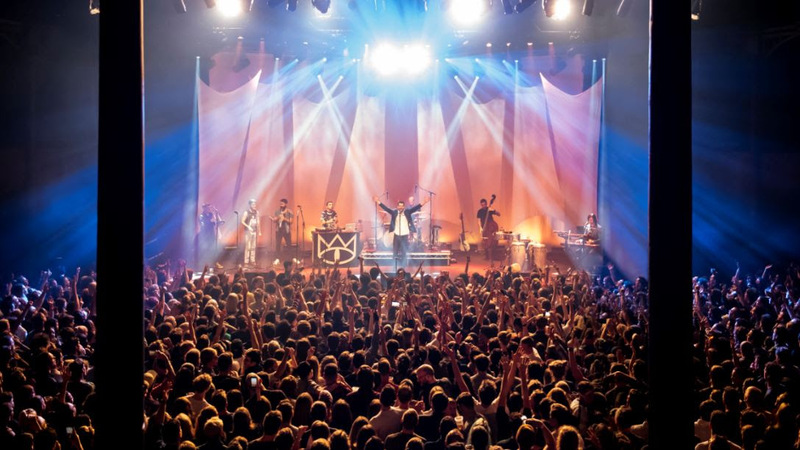 On top of financial support, The Cat Empire will add money can’t buy one-on-one mentoring with members of the band and their management, giving the chosen contemporary Australian musical act a leg up into the international arena. With over 1250 shows under their belts, and a schedule of past festival appearances that reads like a musician’s bucket list, The Cat Empire have carved themselves a unique space in the global industry. The band is one of Australia’s highest ticket selling acts internationally, and renowned the world over for being a world class festival band. This formidable reputation has seen them undertake lucrative global tours annually for well over 10 ten years. By legacy of this experience, the band recognise that for Australian bands to have enduring careers, they must first find sustainable ways to tour internationally. To date, The Cat Empire have always made it a priority to take Australian bands overseas as support acts where possible, enabling direct access to their international fan base, but they are now taking that opportunity even further with the announcement of this grant funding. The 2019 recipient of The Cat Empire funded grant will be selected from the pool of applicants who apply for funding in the upcoming Australia Council February 2019 grant round. A select number of musicians deemed eligible for funding through the Australia Council’s peer assessment process will be shortlisted and handpicked by The Cat Empire band members to receive The Cat Empire’s backing, which comes with the added opportunity to receive priceless mentoring on the ways to navigate the international touring market and turn it into the cornerstone of a sustained musical career. Applicants can apply through the Australia Council’s “Arts projects for individuals and groups” or “Development Grants for Individuals and Groups” grant rounds. Grant criteria is set out on the Australia Council website. Applications close February 5 2019. The recipient of The Cat Empire backed Australia Council grant will be announced in May 2019.